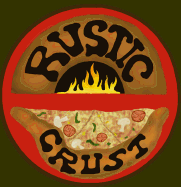 The inspiration for Rustic Crust Pizza comes from the traditional Napolatena style pizzas that were made by the Italian families who emigrated to our small city of Trail, British Columbia, in the 1900’s. It didn’t take long for the Italian people to infuse our community with a number of Italian customs, among them a huge passion for traditional Italian pizza, especially those made in authentic wood-fired ovens that were found throughout Italy. For the last century, these local pizza-makers have been producing unique mouth-watering pizzas using the freshest most flavourful ingredients harvested from their own back yard gardens. Like the best neighborhood restaurants you’ll find worldwide, Trail’s restaurant scene in the past was primarily owned and operated by close-knit families. Their products were more a labour of love than a quick money-making scheme. The resulting pizzas, though most were unaware at the time, were of a world class standard. Though not Italian by any known blood line, the Wiley family, who have called Trail home for four generations, feel they’ve acquired some cultura italiana by osmosis. Cooking out of a wood-fired oven began for the Rustics at Mirror Lake where Papa Rich, with a little help from friends and family, built their first adobe oven with clay dug from the banks of nearby Kootenay Lake. After a few experiments with chicken, bread and some other goodies, pizza night quickly became the favorite of the family for a little friendly competition, good eats and good times. It was during these evenings that the hunt began for the best crust and toppings they could create, and shortly after they developed a desire to share it with others. The Wiley’s felt what was missing in Trail’s current culinary scene is authentic Napolatena style pizza — hence, the Rustic Crust.